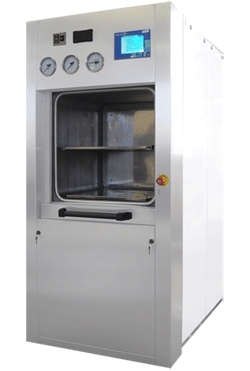 The Astell Scientific 'E-Range' has been designed to bridge the gap between circular chamber autoclaves and the high end square chamber autoclaves that Astell offer. The E-Range still features all the extras you would expect from an Astell autoclave, including our 5.7" full colour touchscreen, multiple programs for sterilizing and our delayed start/media holdwarm features. The E-Range is manufactured using high quality materials and includes all the safety features you would expect to find on any of our smaller units, with a manual door. This cost effective range has been designed with simplicity and economy in mind, and is ideal for sterilizing typical laboratory loads such as media, waste (discard) and glassware. This model is also available as 'Direct Steam' ready. The Logi control colour systems are an advance in sterilization control technology. Bringing together years of unrivalled experience, they produce a user friendly, fully automatic control system designed to meet and exceed the expectations of the most demanding laboratories and centres of sterilization.